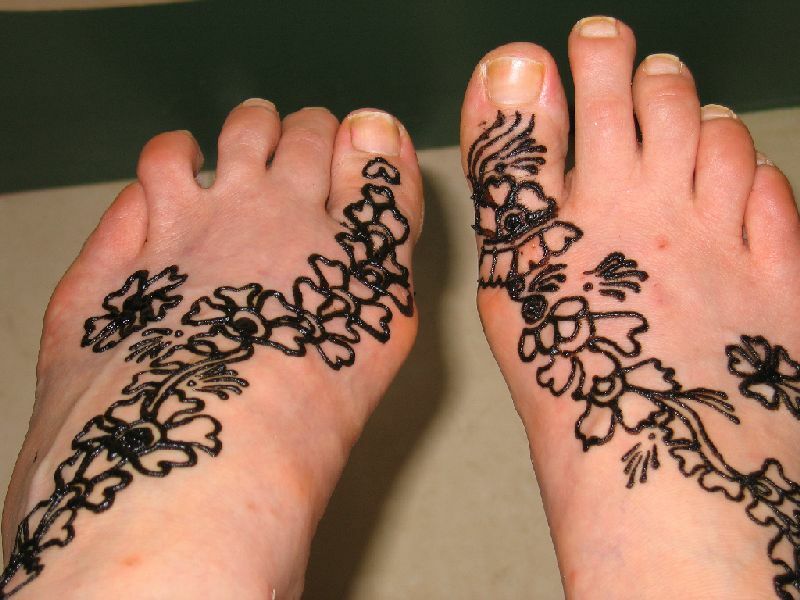 The day I left for Madurai, I went to the beauty parlor across from my hotel (The Hotel “Gimme” Shelter in Mylapore) to get mehendi on my feet. When I went there to make the appointment, the ladies were fascinated by my tattoos — I have one on each ankle, flowers with OM symbol on my right wrist, plus big ones on my left shoulder and lower back. They only saw my wrist tattoo when I made the appointment. I went for the mehendi and while I was waiting, all the customers and employees gathered around me to look at my ankles and wrist. Then the owner walked in with her entourage — she wore a beautiful sari, was loaded down with gold jewelery, and had a “big” personality to match. I loved her loudness! She shoved her way through the crowd, “I want to see everything!” She announced, “I want to learn this!”, as if learning the art of tattooing is the easiest thing in the world! I said I had a tattoo on my shoulder, which of course they all wanted to see. I was not planning on taking off my clothes in the reception area of a beauty salon, but the owner said “take off top, BE FREE, BE FREE! !” — how could I resist? I had a skimpy camisole on underneath, but I removed the top of my salwar kameez. The women ooohed and aahed at my tattoo — it’s a flower vine with a butterfly that has a yin/yang symbol, very bright and colorful. …and I love my mehendi.